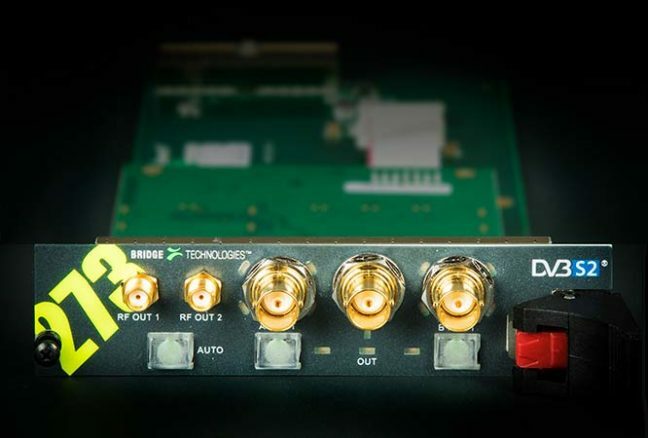 DVB-S/S2 INPUT CARD The VB272 input card offers monitoring and analysis of QPSK/8/16/32APSK signals found in DVB-S/S2 satellite transponders. A chassis can be equipped with a VB120 or VB220 probe controller and up to two VB272 input cards under its control. 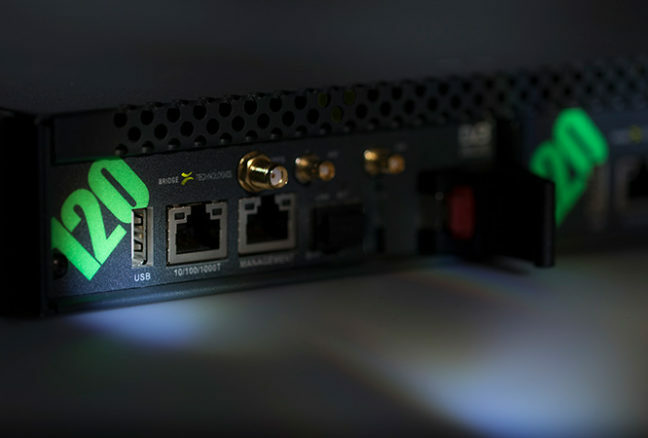 A complete configuration with a fully licenced VB120 and two VB272 interface cards provides real-time monitoring and alarming for up to four DVB-S/S2 RF inputs, 10 IP MPTS/SPTS multicasts (upgradable to 50 streams) and one ASI TS input and output. Full ETSI TR 101 290 analysis is performed on all DVB-S/S2 inputs, the ASI input and the IP input in parallel. If the VB220 probe is used as master card, the IP monitoring capacity is increased to an impressive 260 MPTS/SPTS multicasts. The VB272 DVB-S/S2 card is delivered with one input and the second input can be enabled by a simple licence upgrade. Together with the VB120 or VB220 controller, the operation of the VB272 is via an intuitive web interface. A GUI provides a graphical overview of scanning status and ETR290 TS data as well as a full constellation diagram of the transponder together with all relevant RF levels. The VB272 also comes equipped with full power/tone control of RF input switches and can also use the DISEqC 1.1 protocol for additional switch control. 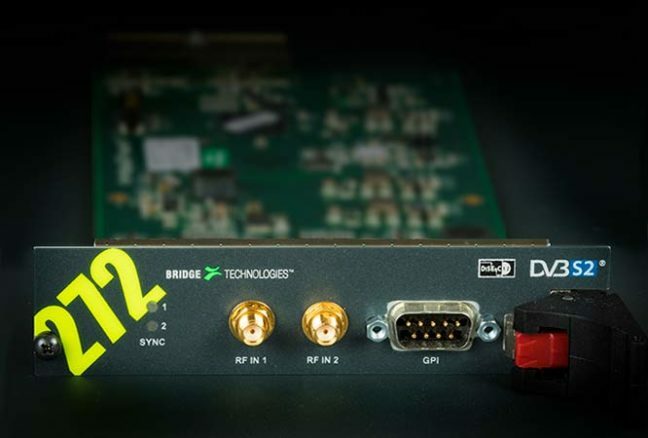 With support for modern modulation types such as 16 or 32 APSK, the VB272 is future-proof. The VB272 is delivered with standard 75 Ohm F-connectors or as an optional factory-ordered VB272-SMA with 50 Ohm SMA connectors.